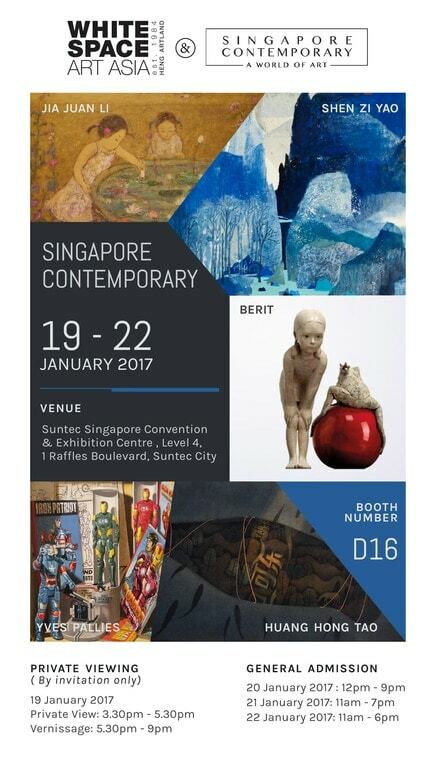 Save the date from January 19th to 22nd as we will be exhibiting at the Singapore Contemporary Art Show! We proudly present artworks from Yves Pallies, Shen Zi Yao, Jia Juan Li, Huang Hong Tao, Zhang Ruo Yu and Berit. This year’s lineup will feature the trompe-I’oeil paintings by Yves Pallies, contemporary Chinese ink landscapes by Shen Zi Yao and Huang Hong Tao, oil paintings of Qing dynasty women by Jia Juan Li and beautiful bronze sculptures by Zhang Ruo Yu and Berit. An exciting event not to be missed! Be there or be square, we will see you at Booth D16!